It's less than a week away from Christmas day, it's hard to believe. As much as we all are doing lots of planning and preparing for Christmas day, I bet Santa Claus is planning for his mission too, to spread happiness to all the children out there! Santa and his reindeers, both will be very busy on Christmas eve, Santa has to put everyone's postcodes in his SANTANAV. There are billions of presents to deliver to young and grown up kids, and I am one of them ;) Obviously Santa will check first if I have been in naughty or nice ! Santa has to eat lots of mince pies. In UK as every house will leave a one or two mince pies for him, there is no surprise why he is getting bigger and bigger. Here, during Stuart and Georgian times, mince pies were the status symbol at Christmas. Wealthy families liked to show off at their parties having pies made with different shapes which contain shredded meat addition to the mixture of dried fruits rather than just dried fruit mix as they are today. Also there are few superstitions that you will get all the luck if you eat one mince pie twelve days of Christmas. ( very lucky ) ! 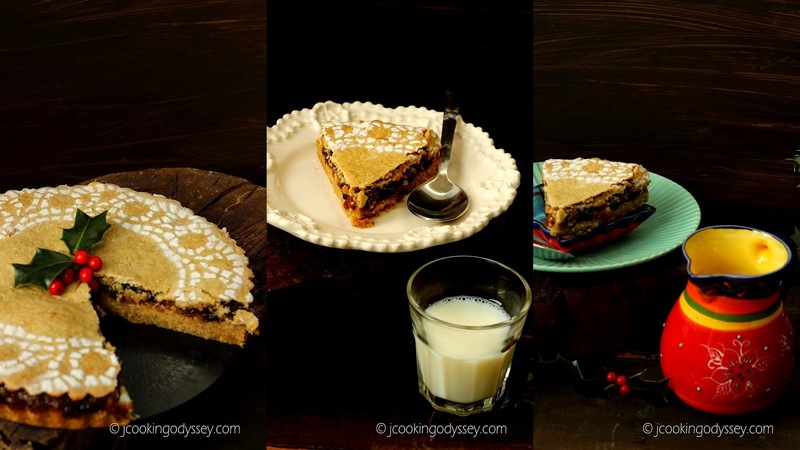 The mincemeat mixture should be stirred only in a clockwise direction. Mince pies can be consumed cold or warm with custard and cream. 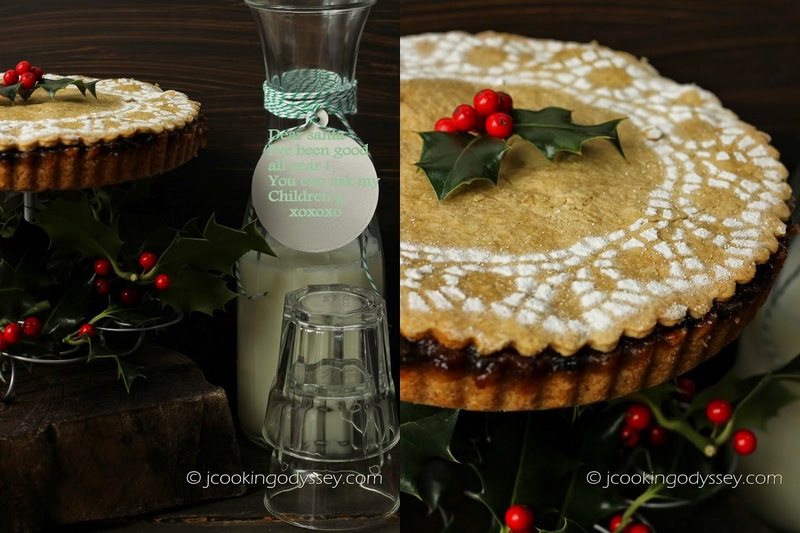 Classic mince pie filling mixture contains of dried fruits like raisins, sultanas, apricots, glace cherries, candid citrus peels , various nuts and spices such as nutmeg and cinnamon. Also there is luxury mince meat available with brandy and port.Traditional mince pie pastry is made with plain flour and butter, but today I prepared mine on a little healthier side as I have used oats and Amaranth flour, partially plain flour and coconut oil for pastry and used a sugar free mincemeat, it turned out yummy and delicious.There was hardly any taste difference, lightness was as it's made with plain flour and everyone enjoyed as much as we normally enjoy shop bought ones. 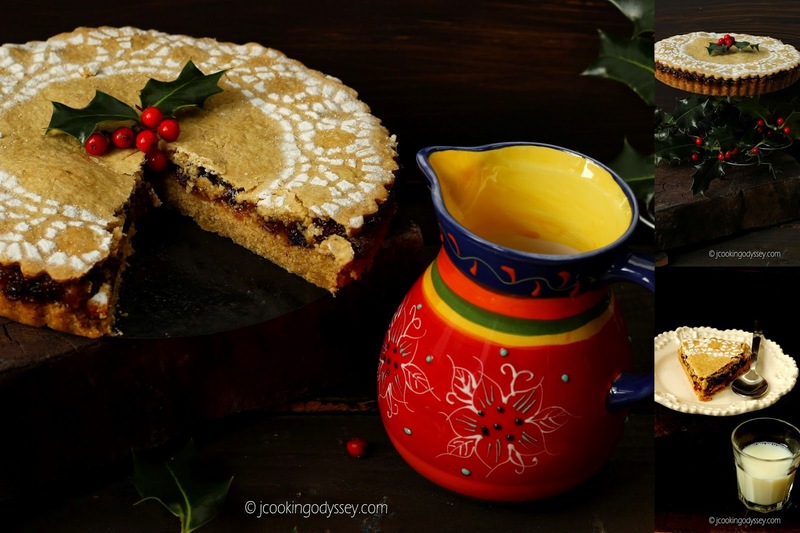 Made one batch with classic mincemeat for us and for husband,( our Santa ) prepared with luxury mincemeat which he enjoys a lot ! Dry roast oats and amaranth flour separately in a pan, grind oats till you get coarse flour. Heat up the coconut oil and add honey, switch off the heat. Add all the flours and sugar and knead a dough and divide the dough into 1/4 and 3/4 part. Preheat the oven to gas mark to 4 or 180C and grease a pie tin. Roll or press out the 3/4 dough mixture in the pie tin and pour mincemeat on it, roll out other 1/4 dough mixture and cover the mincemeat. Bake in the oven for first 40 minutes then check and bake further 10-15 minutes or till light golden. Keep checking in between the baking the pie. Let it cool for 4-5 hours, I left it to cool for whole night. Slice it and serve with custard or cream. super delicious and inviting recipe. Coconut, Chocolate and Saffron Squares ! Matcha ( green tea ) Shortbread Cookies !